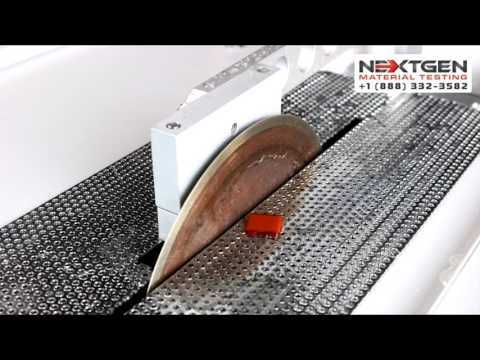 Welcome to NextGen Material Testing where we have your material testing solutions. Meeting all international industry standards, NextGen provides solutions to all of your testing requirements in various industries. NextGen Micro Hardness testers provide solutions for Vickers and Knoop hardness testing with micro loads ranging from 10gf to 1kgf. The NG1000 series is available in Analog, Digital and CCD configurations for Micro Vickers/Knoop testing. "Excellent customer service! The guys and girls at the after-sales support are very helpful and return my calls and e-mails right away to answer my questions. The equipment also came earlier than the estimated lead time and the prices for the same quality was lower than the 4 other companies we compared before buying. 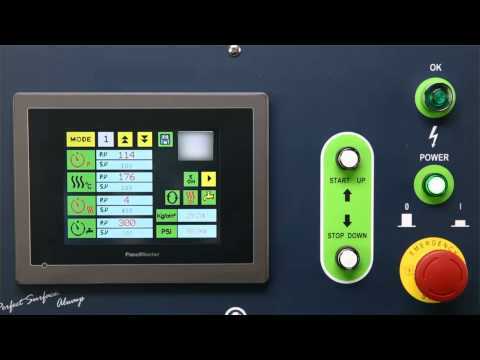 The equipment was easy to install and the manuals and video were accurate and helpful. We look forward to ordering consumables and more equipment with you in the future." 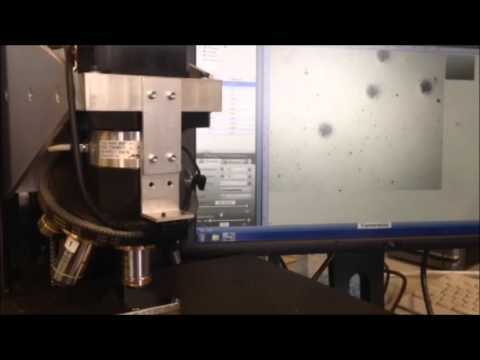 Engineering Department - MSI Inc.
"NextGen Material Testing, Inc. customer service is awesome. Everyone is very welcoming and friendly. We have been fortunate to have had very good experiences in this domain over the years but these guys are the tops! They provide quality equipment at a good price. Meticulous, professional, detail oriented, kind, respectful they were prompt when we had a question or concern. Thank you for the professional service!" 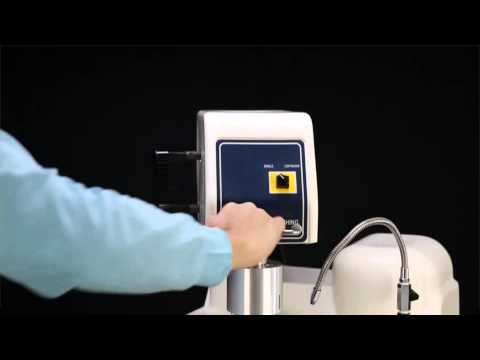 "We equipped our entire laboratory with NextGen's product line up. GenCut - Abrasive and Precision Cutters, GenGrind SA-IC - Semi-automatic polisher and grinder, GenPress MFA- fully automatic mounting press, GenGrind Belt BT - table top bench grinder and NG1000 CCD - Vickers Hardness tester. Our clients come to visit every quarter to check up on us and give us hell. This is how they normally motivate us. When they saw metallographic equipment and the grinding, mounting and cutting processes, we experienced our first genuine compliment. Well done NextGen!" "Good pricing. Responsive in the quoting process. Prompt support for issues." "We had purchased three hardness testers from NextGen Material Testing, for our heat treating plant in Ohio. The machine line up included the macro Vickers hardness testing system, the digital Brinell hardness tester and the digital Rockwell hardness testing systems. Each machine is truly easy to operate and took less than 2 hours for our engineering team to master. The software that comes with the macro Vickers hardness testing system with the CCD optical analysis option is able to automatically capture the indentation and eliminate all human error factor from our engineering team. 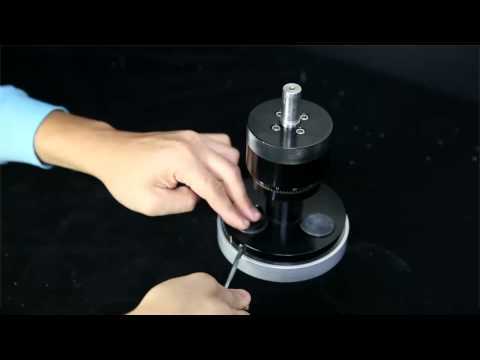 The digital Brinell hardness tester also came with a CCD optical Brinell scope which, to our surprise, was able to capture an accurate reading even on a non-polished metal surface. Lastly, the digital Rockwell hardness testing system was a twin model which allows us to read both regular and superficial Rockwell hardness scales with fantastic accuracy and ease of use. Our experience was enhanced by the quick response time from NextGen's engineering team for when we needed support. Their staff is educated and works to your advantage. The hardness test blocks for all three hardness testers are also always in stock and come to our facility within 1 week of the order. We highly recommend NextGen to our fellow manufacturers." "I love the customer service you guys provide. Although it is always nice to have a pleasant voice on the other line, what I appreciate the most are the precise solutions I get by phone and email within minutes of my inquiries. My favorite type of business to deal with is one that combines elements of a large corporation for the peace of mind with an individualized family approach to our every need in a timely and efficient matter. If this approach works for me, I am sure this will benefit many others. Thank you guys!" "Our educational facility has previously dealt with over 10 different vendors for quality testing equipment for our laboratory. 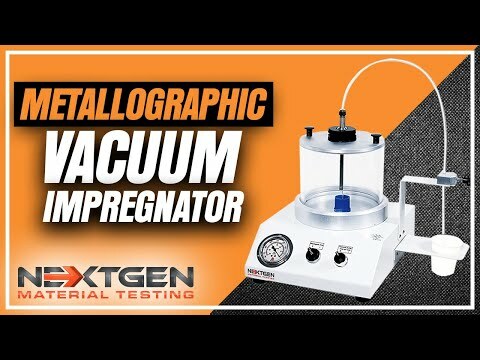 NextGen Material Testing, Inc. is a vendor with quality equipment, corporate integrity and exceptional prices to match the available budget for our educational facility. I am impressed with how NextGen delivers immediate responses to any of our technical inquiries with their trained professionals. We are excited to upgrade some of our other laboratory instruments with NextGen again this year." "We bought a Micro Vickers with image analysis and it's fine. Good seller, good products, good price and good support. We can not ask for more! (Original) Nous avons acheté un micro Vickers avec analyse d'image et il va trés bien. Bon vendeur, bon produits, bon prix et bon support. On ne peux pas demander mieux!" "Brilliant design and ease-of-use. NextGen's Automatic Vicat Apparatuses are an integral part of our quality testing needs in our cement lab. Precision and simplicity of use are very important to our facility due to various types of engineering teams we have. We purchased the 3 Automatic Vicat combo with the applicable software. The accuracy and the functionality are on the highest level. After using the manual Vicat for many years, this was surely the upgrade of the century for our government facility." "When it comes to technical support, NextGen is like no other equipment provider. We always get a lightning fast responses from their technical staff. These guys are really good at understanding our needs and delivering promptly based on our requests. Customer service was able to track my order and provide me with the current updates throughout the estimated lead time. We appreciate a company who can stand by their word in communication and deliverables." "We had acquired the Rock Specimen Grinder for our educational facility. 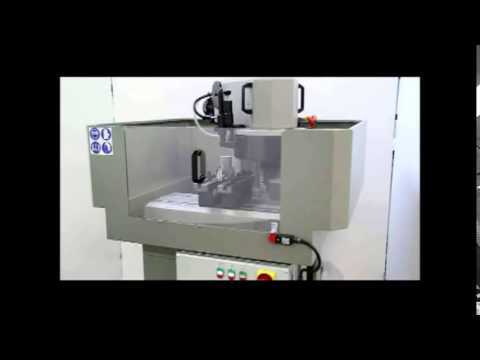 The fully automatic rock specimen grinding machine is one of our university's prides and joys. The unit is very simple to use and works like a charm. Our primary use for the rock core grinder machine is on cubic cores of 2.5" in diameter. The clamping device secures the core in its place allowing for a clean grind which meets the parallelism requirements according to our facility's required standards. We use the dry grinding procedure only due to the type of material that we have with above than satisfactory results. 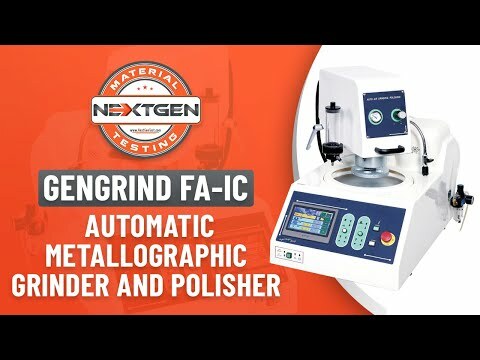 Before buying the rock specimen grinding machine we watched a video available on NextGen's site which gave a clear understanding of how the unit would work in our facility. The unit seems to work even better in person than it does on the video. Our engineers are thrilled to have such a robust, precise and easy-to-operate machine in our lab." "We purchased a core grinder from NextGen. The unit is very high quality and super easy to train on. The machine meets our current and expanding grinding needs based on the corresponding ASTM standard. We are now looking to upgrade our metallographic line up with NextGen." "I just recently purchased an NG1000 CCD tester for my quality testing lab. George, in sales, helped me to locate the correct tester for my needs and provided me with the necessary quotation. I compared prices for similar equipment and found NextGen to be very reasonable. They gave me a good price on shipping and took care of the customs clearance charges into the USA. The tester was delivered and was quick to set up. NextGen?s team was always easy to reach for providing quick updates on the status of my order. The equipment is of high quality and meets everything promised. Thank you NextGen for providing excellent service throughout." "Fast results and high reliability is how I would summarize this Automatic Blaine apparatus. This purchase from NextGen has been a real joy. This may be the first piece of quality control equipment we had purchased from any manufacturer of quality control equipment that literally gave us no hard time. The guys at NextGen took good care of us in the set-up process and showed how simple it is to operate the machine. The touch screen is impressive and simple to use. The unit does its job better than expected and cost less than 3 other sourced quotes." "Excellent Customer service and the equipment is simple enough that you can make your own repairs. Even, if we are at the other side of the country and we broke the machine, we were able to asses and make the repair with their help. Any other company would have asked to send the machine back for repair and would have been costly." "When searching for a Shore A and D durometer system we were needing a combination of a portable shore durometer system and a shore durometer stand for our in lab quality testing on rubber and plastic polymers. Finding accurate Shore A and D durometer system was a priority for our laboratory due to the nature of tests that we do on daily basis. Additionally, we required a long-lasting unit because of our testing needs for 100-150 specimens on any given day. Tom, the quality engineering consultant at NextGen, did a wonderful job with us. He first found out what shore durometer system technical requirements we have. He then provided us with a solution that was both cost-effective, robust and accurate. We ended up purchasing the NG-306L - Shore A Durometer as well as NG-307L Shore D Durometer alongside the NG-7000 Hydraulic stand series for our bench top needs. The shore measuring systems are accurate and ergonomic. Contrary to the popular belief the read outs on the analogue display are clear and concise. To add to the compliments, the pricing was fantastic and because they items were in stock we had received our systems within 2 business days." 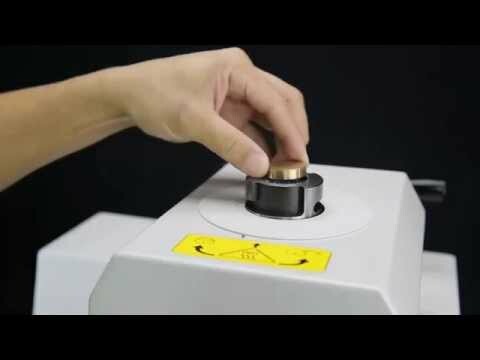 How to order from NextGen Material Testing, Inc.? It is simple to order with NextGen Material Testing, Inc. First, check out our How to Order page to guide you in the right direction. Ordering is as simple as calling us with credit card information or submitting a Purchase Order through e-mail or fax. If you need to be approved for credit, please submit your credit application with your Purchase Order with a minimum of 3 trade references. Our team is quick and efficient in having all orders processed within 24 hours. You will receive an order confirmation email as soon as it has been inputted into our system. Does NextGen Material Testing accept international orders outside of North America? Do I pay custom clearance when ordering from USA? Do I require a broker to order from NextGen Material Testing, Inc. in Canada? Upon your order NextGen Material Testing, Inc. takes it upon themselves to pay the customer clearance charges on your behalf. Does NextGen Material Testing, Inc provide any installation and training for your equipment? Yes, NextGen Material Testing, Inc. provides the necessary training and installation for all of our equipment. We have certified professionals that can accommodate your installation and training requirements. NextGen can provide extensive training and/or installation anywhere in North America and abroad. Please contact your Product Consultant specialist in receiving a quotation for our installation and training services. NextGen specializes in delivering equipment that is fully calibrated and over 90% ready to use. The combination of an easy-to-understand operations manual and a user friendly interface allows you to completely understand the operation of the system with little to no time investment. Our technical service engineers are always ready to provide support via Phone, Fax, E-mail, Skype as well as TeamViewer to ensure your quality control equipment operates without hesitation.